WELCOME TO YOUR HOME SWEET HOME! 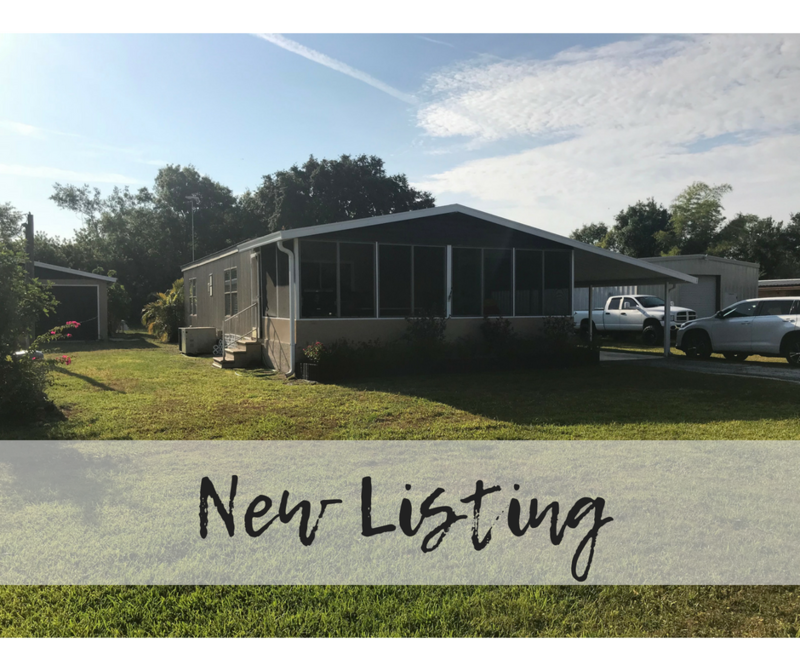 Fall in love with this beautifully updated two bedroom, two bathroom home on over half an acre located in the county! You will adore the new vinyl and carpet flooring and the open concept of the living room, dining room and kitchen. Both bedrooms are spacious and complete with their own sparkling spa-like bathrooms! The kitchen includes trendy, bright cabinets and stainless steel appliances. There is a lovely screened-in front porch/patio perfect for entertaining on beautiful Florida evenings! The exterior of the home is just as amazing as the inside. The metal roof was installed in September of 2017. There is a detached garage and an attached carport. This home is truly a delight and the owners are selling this house mostly furnished! This is deal of a lifetime and won't last long on the market!